The Halifax-ISKF is affiliated with more than 50 clubs in Canada. Sensei Tony Tam is Senior Head Instructor and Sensei Danny Tam is President and Vice Senior Head Instructor, both are 8th dans with over 45 years each of karate experience and are the highest ranking Certified International Shotokan Karate Federation instructors, examiners and judges in Eastern Canada. Sensei Tony is Vice President of ISKF-International ( the world organization of ISKF), a Director of ISKF Canada and one of the 9 members of the senior Technical Committee of the ISKF-International. The Dal Karate club was founded in 1979 and is now known as the Halifax ISKF located on the Dalhousie University/King's College campus dedicated to promoting karate to students, faculty, staff and community members at a very low fee. The youth parent class is every popular and provides for an interactive environment for parent and kids. In Halifax, new students can register for Beginner Classes September of each year. Please refer to the our Beginner Classes page. There are also ISKF dojos in the Dartmouth - Sullivan Pond CommunityCentre (Paul Gareau, 7th dan), Bedford West Shotokan Karate (Andy Allen, 7th dan), and Prospect Road Community Centre (Thomas Trappenberg, 5th dan). Other dojos are located in Truro (Charles Surrette, 5th dan), Stewiacke (Jim Kennedy, 5th dan), and North Sydney (Don MacNamara, 4th dan). High school accredited classes are taught at CP Allen High, Bedford (Andy Allen, 7th dan) and Lockview High, Fall River (Jake Crawford, 6th dan). After school karate is taught at Springvale Elementary, Halifax (John McGowan, 3rd dan). We practice traditional karate emphasizing mental and physical discipline and development. We do not hit or make physical contact with another person with the intent to injure or harm. However, as in any martial or combative art, contact will occur with another person as a part of our normal training regime or in a tournament, e.g. by blocking, holding or otherwise, and injury may occur unintentionally or by accident. We stress control of techniques. While we offer the opportunity to participate in tournaments, competition is not required or mandatory as a part of belt advancement. 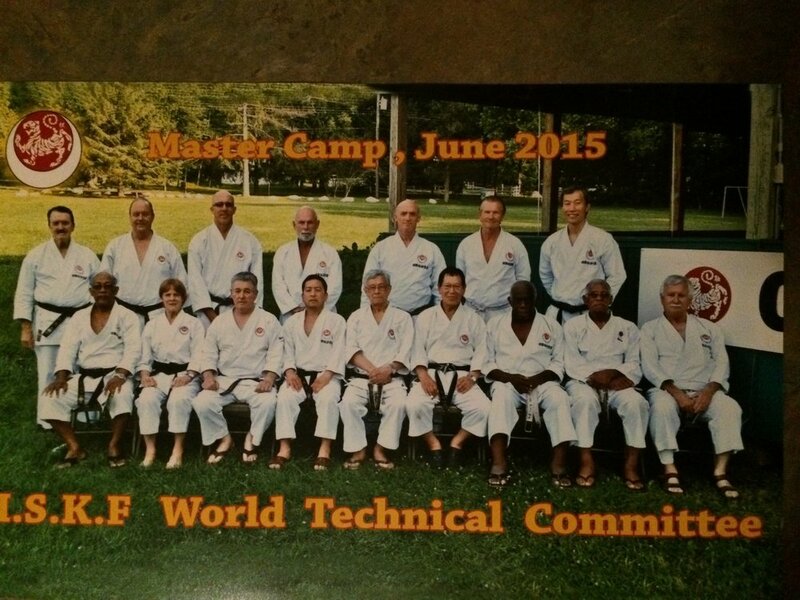 The ISKF is a world organization founded by Grand Master Master T. Okazaki, 10th dan, and Master Y. Yaguchi, 9th dan. Master Hiroyoshi Okazaki, 9th dan is Chairman and Chief Instructor. Sensei Tony Tam is Vice-President. There are over 50,000 members from 60 countries across North, Central and South America, Europe, India, Russia, Australia, South Africa, New Zealand, Carribean Islands, Middle East and Phillipines. ISKF Canada is headed by Chief Instructor and Chairman Sensei David Jones, 8th dan, President is Sensei Larry Loreth, 8th dan, Vice Chairman is Sensei Denis Houde, 7th dan, Treasurer is Sensei Laurie Jones, 7th dan, Secretary is Sensei Jackie Ingrill, 4th dan and Arbitrator is Sensei Sophia Smirza, 4th dan.